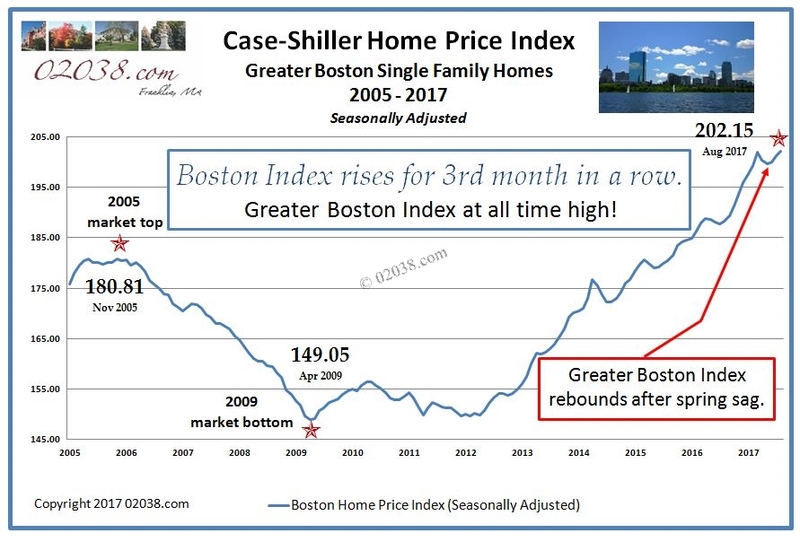 The Case-Shiller Home Price Index for Boston has hit another all time high. The seasonally adjusted Boston Index topped 202 for the first time in its history. The Index rose for the third month in a row following a bit of weakness last spring that now looks to have been only a temporary hiatus in an inexorable climb in home prices. 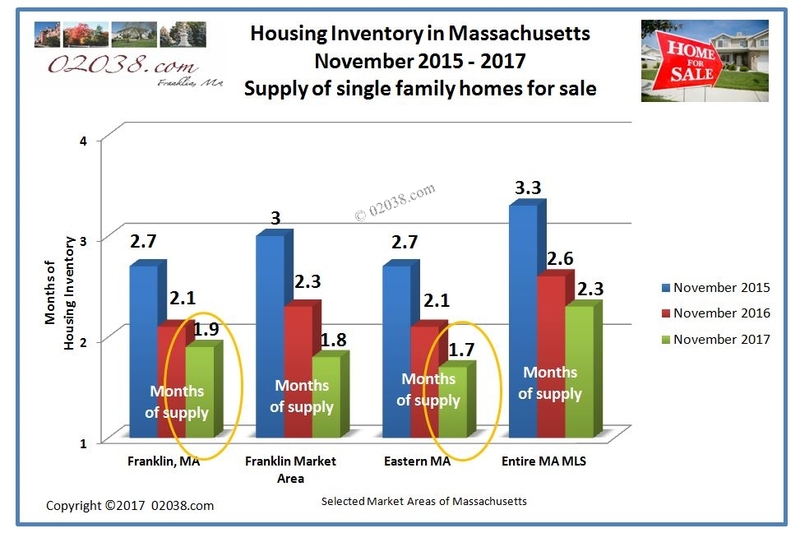 Just when one could be excused in thinking that the supply of homes for sale in Massachusetts couldn’t get any tighter, housing inventories across the Commonwealth declined even further this November. Faced with less than a 2 month supply of single family homes for sale in the eastern half of the Bay State, many home buyers have been scouring the I-495 corridor and points further west for available offerings. 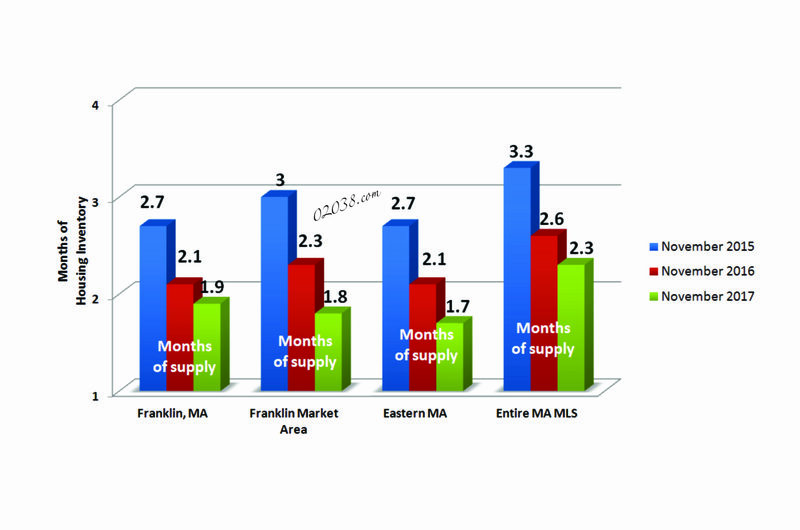 As you can see in the graph above, they’re encountering scant overall supplies in the communities surrounding Franklin, MA and in the town of Franklin itself. 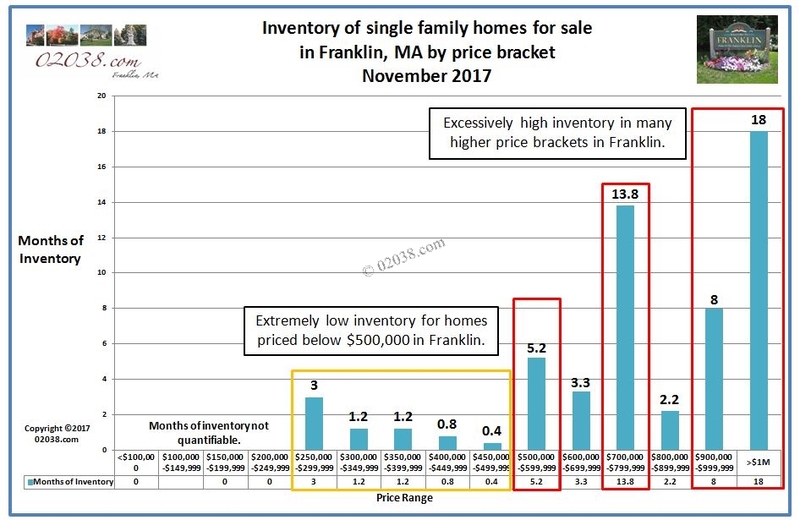 However, if you look more closely at the supply of homes for sale in Franklin by price bracket, you’ll discover that there IS significant housing inventory in town sitting unsold, but only in certain price ranges. However, with over 5 months of standing inventory, the $500K – $599K price range in Franklin is experiencing market resistance. Home sales in the $500Ks in Franklin are currently sticky, if the properties need updating. Franklin homes asking over $500K that have older kitchens and baths, outmoded wood windows, natural (unpainted) woodwork, dated decor and old carpeting currently are languishing on the market. On the other hand, nicely updated Franklin homes in the $500Ks will still fly off the shelf. That’s a lot of homes to choose from! The higher the price point, the less the need to buy in Franklin. To command $700K+ (and especially $900K+) in Franklin, homes generally must offer a lifestyle advantage (such as an in ground pool, beautifully finished lower level, and a large level rear year) or, for most home buyers, there’s no compelling reason to buy in Franklin as opposed to such other top drawer towns as Holliston, Hopkinton, Norfolk, Medfield, Dover and Wrentham. 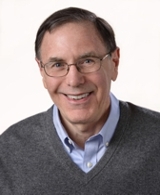 If you have any questions about how to price your Franklin home, contact Warren Reynolds. He knows the Franklin market very well and will give you honest home pricing and positioning advice you can trust!